The Kids Are All Right - How The Girl Scouts Came, Saw, and CONQUERED — RocketChair Productions - "Because Inclusion Can't Wait"
There is so much happening in our world today that gives us pause when it comes to our kiddos. So much that makes us hug them a little bit longer when we drop them off at school or read one more story when we put them to bed at night. We have to worry about our kids being shot at trying to get to school or being shot at once they're at school. Will they follow the crowd and bully kids that are different from them, or will they remember the things we've taught them and be leaders? Well, if what I experienced with 25 Girl Scouts is any indication, I want you to know that the kids are all right. Really, they are. Last Saturday I had the honor of leading the Girl Scouts For ALL Inclusion Program, and it was INCREDIBLE. Twenty-five girls from all different troops, ranging in age from 5 to 14, all working together to understand what inclusion is, what it looks like, and how to make it a part of their own lives. It was amazing, eye-opening, and at times lump-in-my-throat inducing. These girls get it - in so many ways. And if they are our future, I assure you that good things are yet to come. These girls were kind, generous with eachother, but most of all CREATIVE. They thought so far outside the box when asked to adapt toys and games so that every kid could play with them. One little girl even called my bluff when I put supplies out that didn't go with the activity - she adapted those too! And it was all adapted with either super-glue or sticky tabs! I could wax poetic for hours about how great the program and kids were, but I'd rather show you. Check out this AMAZINGNESS! Behold, an ordinary Etch-a-Sketch and some hooks. Put them together you get THIS magic! Now someone who has poor fine motor control, or issues with dexterity/low muscle tone can turn the knobs more easily and make etch-a-sketch masterpieces! 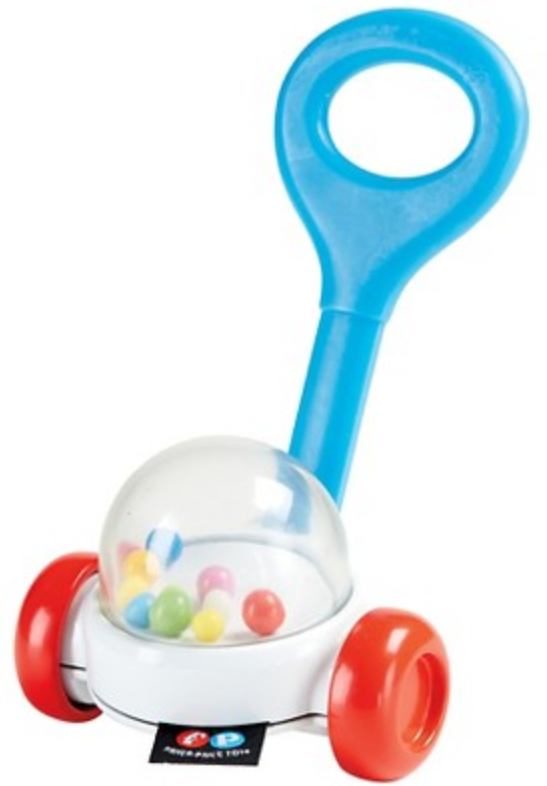 On their own, a bouncing ball, a rattle and a puck light are just that - a bouncing ball, a rattle and a puck light. But put them all together and VOILA! Now you have a ball that makes sound (for our visually impaired friends) and a ball that lights up (for our hearing impaired friends)! Who says kids with special needs can't play ball?! They also added a "handle" made out of pipe cleaners so that someone could pick up and throw the ball if they wanted to, but maybe couldn't use both hands! Now watch this AMAZING video to see how they adapted it! They also turned a brush upside down to hold a bow-making kit, added pipe cleaners to sidewalk chalk to aide in holding it in your hand, and came up with a whole list of ways you can play with a jump rope that don't involve jumping (for our friends using mobility devices)! So you see, the kids are all right. They are brilliant. They are kind. AND if we keep doing our part, they will remain inclusive. HUGE thank you to the Girl Scouts of Southern Arizona for allowing me to turn a once negative encounter into an incredibly beautiful event where we all came out better in the end. What are some ways you and your kiddos have adapted toys or games so that everyone could participate? I'd love to see what you've come up with! If you'd like to bring the Girl Scouts for All Inclusion Patch program to your troop, send an email to info@clarabelleblue.com, and we'll be in touch with you soon!